Caption slip reads: "Photographer: Gaze. Date: 1951-08-20. Assignment: Joann Tobin. 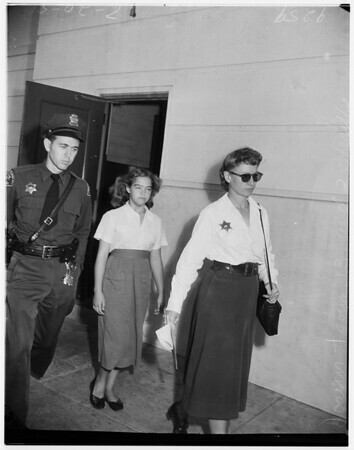 #38: Flanked by two deputy sheriffs, 13-year-old child bride Joann Tobin leaves Santa Monica jail for juvenile hall.